1. Pruitt has served as the Oklahoma attorney general since 2010. As the state’s top law enforcement official, he has fought against federal environmental regulations, even forming an alliance with other Republican attorney generals and the nation’s top energy producers to oppose President Obama’s regulatory measures. 2. He is a climate change contrarian with close ties to the fossil fuel and coal industries. Joining a coalition of other states, Pruitt is suing the EPA for its Clean Power Plan aimed at diminishing U.S. greenhouse gas emissions from the electricity sector. He also united with other attorney generals to sue the agency for its regulations that seek to reduce the emissions of methane from the oil and gas sectors. 3. Pruitt has also served as the president of the Republican Attorney’s General Association, which has heavy ties to the oil and coal industries. Two of the group’s largest donors this year were Koch Industries, which has extensive oil investments, and the coal company Murray Energy. 4. Pruitt differs from President Obama on more than just climate change: he was the first to file a lawsuit against the Affordable Care Act in 2013. “Millions of Americans see their health-insurance premiums increase, have their coverage dropped as a result of the Affordable Care Act, and are unable to use the federal exchange,” he wrote in a Wall Street Journal op-ed at the time. 5. Before becoming attorney general, he served as an Oklahoma state senator for eight years. Pruitt became, according to his biography on the Oklahoma Office of the Attorney General website, “a leading voice for fiscal responsibility, religious freedom and pro-life issues.” One of his pro-life initiatives included a bill requiring that women seeking abortions receive “informed consent” about the largely debunked connection between abortions and breast cancer. 6. 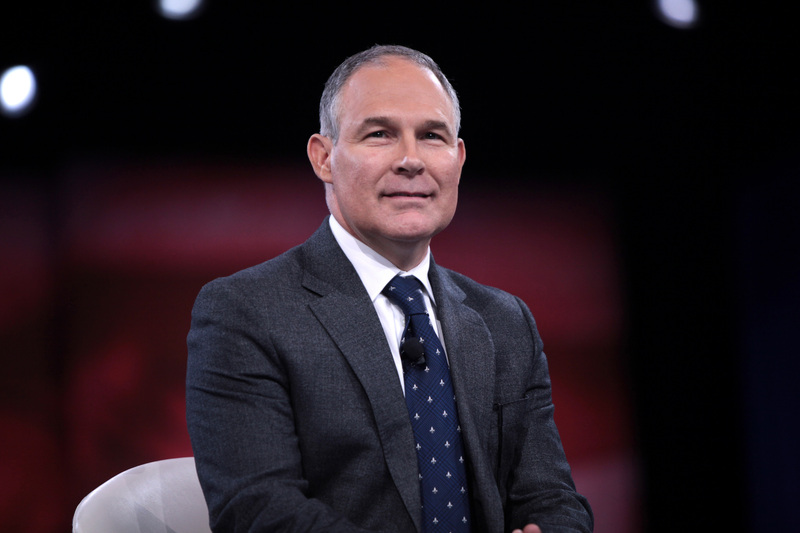 Pruitt worked as a private practice lawyer and co-owned the Oklahoma City RedHawks, a Minor League Baseball team, before becoming involved in politics. He has been married to his wife Marlyn for 25 years. The couple has two children, McKenna and Cade. Updated: Feb. 17, 2 p.m.
5 min 12 sec ago. 9 min 53 sec ago. 10 min 48 sec ago.